Soulless automaton residing in the Hunter's Dream, the doll's purpose is to care for new hunters and embolden their flesh with the power of blood echoes. Due to her lack of human emotion, it can be difficult to tell what she's thinking; she isn't one for frivolous conversation, but will occasionally share profound musings when you speak to her over the course of the game. Her aloof and sometimes coy disposition tends to give the impression that she knows more than she's willing to divulge, but in reality she is quite naive and her knowledge of the world outside the dream comes only from the stories shared with her by past hunters. The first time you enter the Hunter's Dream, the doll will be lying beside the steps leading to the workshop entrance. When you return with at least one point of insight, she will be active and able to engage in conversation with you. 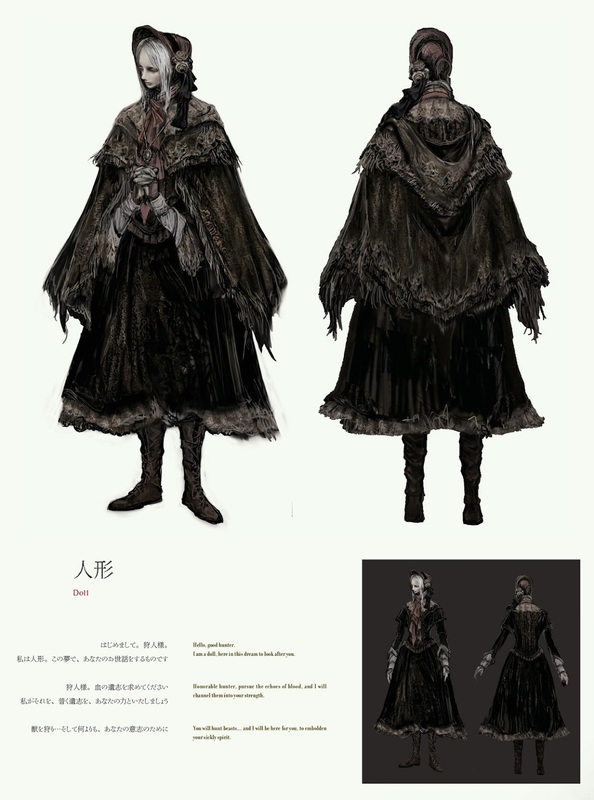 Throughout the game, you can speak to the doll to level up using your accumulated Blood Echoes. Even if you kill her, you can still level up by examining her body. She will move around the general vicinity of the workshop and can sometimes be found next to the tombstone to the left of the buildings' rear entrance. When you acquire the Small Hair Ornament from the Abandoned Workshop, give it to her and she'll reward you with a Tear Stone. After you defeat Lady Maria of the Astral Clocktower in the Research Hall Astral Clocktower, Doll will have new lines of dialogue. 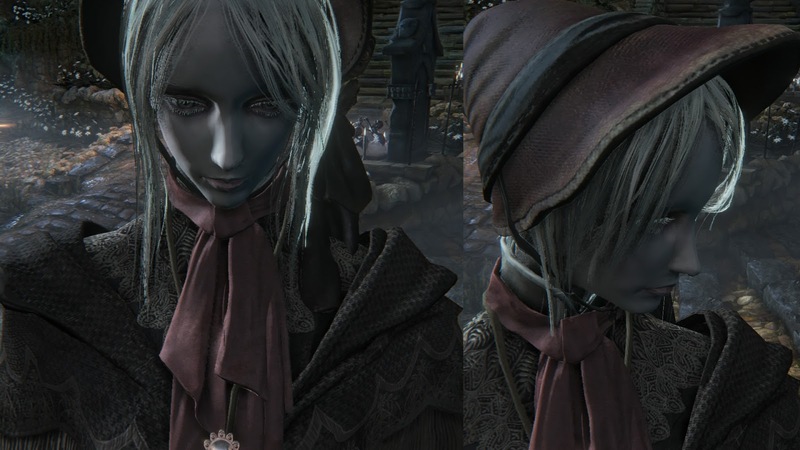 After you defeat Orphan of Kos in the Fishing Hamlet, Doll will have new lines of dialogue. 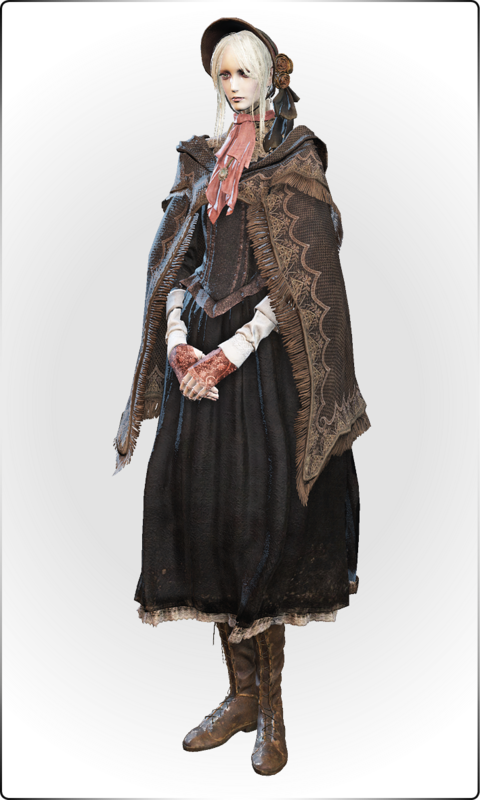 Once you've defeated Mergo's Wet Nurse, the doll will be waiting at the foot of the workshop steps and will instruct you to speak with Gehrman. You can continue to level up at this point and she will still accept the Small Hair Ornament. 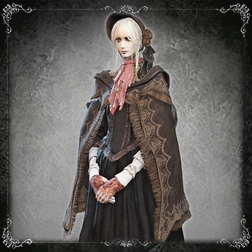 It is possible to not get Doll's unique dialogue after defeating Lady Maria of the Astral Clocktower and Orphan of Kos (both bosses from the DLC). 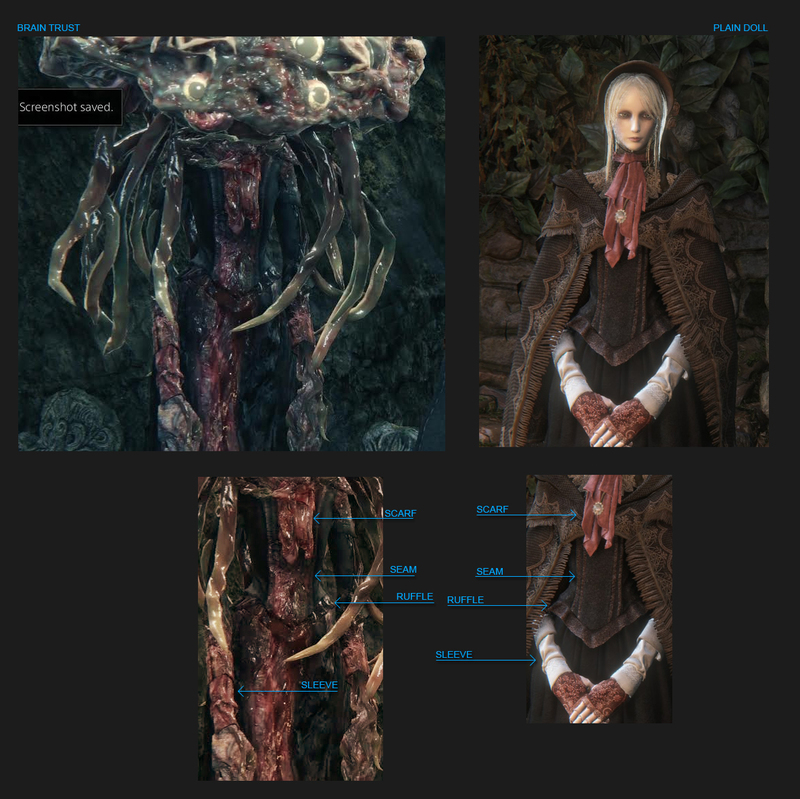 If you have already killed Mergo's Wet Nurse, Doll will not provide you with these two pieces of dialogue and will point you to the end-game instead. Ahh, you’ve found yourself a hunter.. I am a doll, here in this dream to look after you. and I will channel them into your strength. to embolden your sickly spirit. Did you speak with Gehrman? He was a hunter long, long ago, but now serves only to advise them. Very well, let the echoes become your strength. They find hunters like yourself, worship, and serve them. Over time, countless hunters have visited this dream. The graves here stand in their memory. Hunters have told me about the Church. About the gods, and their love. But...do the gods love their creations? I am a doll, created by you humans. Would you ever think to love me? Isn't that is how you've made me? Good hunter.. your presence somehow soothes.. I sense the ancient echoes, they course your veins..
Ah! Ahh.. Welcome home, good hunter. Good hunter, you have come..
Gehrman awaits you, at the foot of the great tree. O Flora, of the Moon, of the dream. Let the hunter be safe, let him find comfort. Be one day a fond distant memory. I sensed a liberation from heavy shackles. Oh, good hunter. I can hear Gehrman sleeping. On any other night, he'd be restless. But on this night, he sounds so very calm. ...Perhaps something has eased his suffering. This grave stands in memory of a hunter I once knew. and eventually saw the light of dawn. and comfort, in the waking world.